To inform senior members of a few important dates of club functions as we enter the run towards the finals. Vote Count Night at Sunbury Indoor Cricket Centre Saturday, 8th March 2014 (the night after the last h/a fixture) from 7.30pm to late. End of season trip Weekend 12th of April 2014, destination Echuca. Get together with your mates and sort out who you are able to share a room with. See Heath Boffey for bookings. 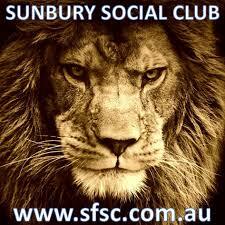 Presentation night at Sunbury Bowling Club Thursday, 24th April 2014. (night before Anzac day) Dress: Red carpet..tie and jacket. Dinner : 2 course meal. Special guest host, entertainment and cost TBC. By popular demand I’m resending an article from a previous newsletter…..
To finish off I just want to share a little xmas story. The past few xmases I have been given a Jamie Oliver recipe book, which is great. His recipes are easy to follow, a little funky and tasty..I like it. The recipe books sit in the kitchen ready to use at any time. You’re thinking what has this got to do with cricket?? A recipe for a tasty meal is a constant, ingredients prepared in a certain way, each time you are guaranteed the same result every time you follow it to the letter. Same in cricket!!! Follow the same principles each time during the season and the same result will occur. Lets think about a recipe for success for a cricket team. A pre-season training program covering all elements, batting, bowling and fielding. Listening and taking on board tips from the coaches and experienced players. Thinking about where you need to improve your game. Set yourself goals e.g. number of total runs / wickets per season, go up a grade, makes the finals, win a flag! Make a committment, make sacrifices and maybe do a little extra training with your mates or by doing a little extra fitness work. Every now and then help out around the club and on game day by setting up or packing away. Play with a mindset of following team plans, your role in the team or whats required in the situation of the game. Practice regularly, work towards improving your game and be a good team-mate and clubman. Prepare the night before, focus on game day, be positive, be confident and play to win! Enjoy being around the club, go to club functions, go to country week with a few mates and most of all enjoy your self, have a laugh. I learned the recipe for success from former leaders of our club including my first A Grade Captain Max Harding(1981), Richard Lee and Neil White. The current leaders of our club have all tasted success and know the recipe for success. Jason, Brad and John Marshall have all played in many premiership winning teams, are all familiar with the recipe for success and of what success tastes like. If you want to taste success yourself all you have to do is follow the recipe, it’s up to you.